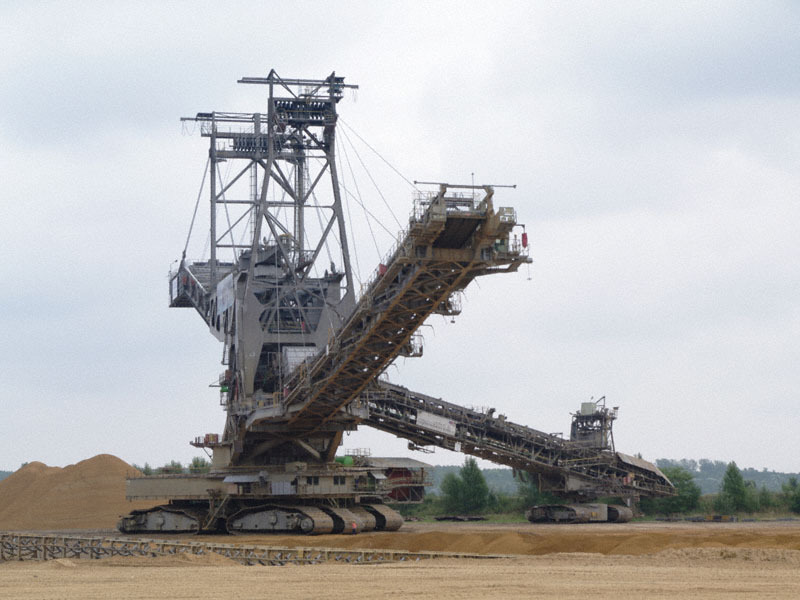 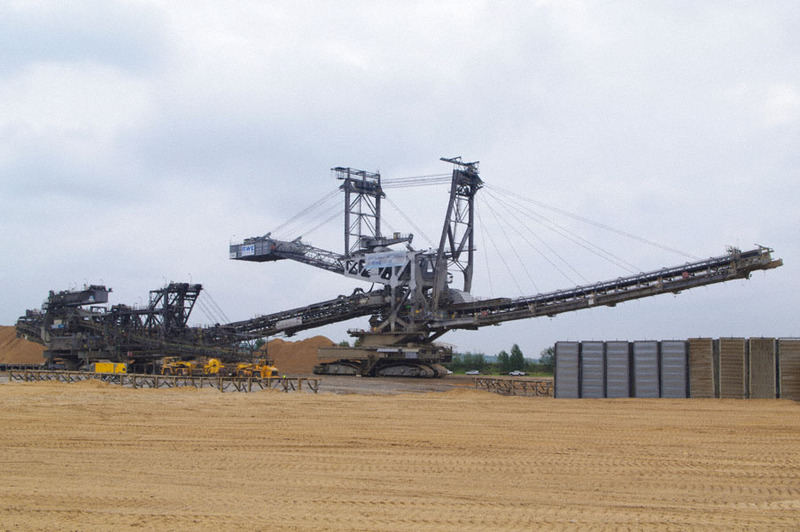 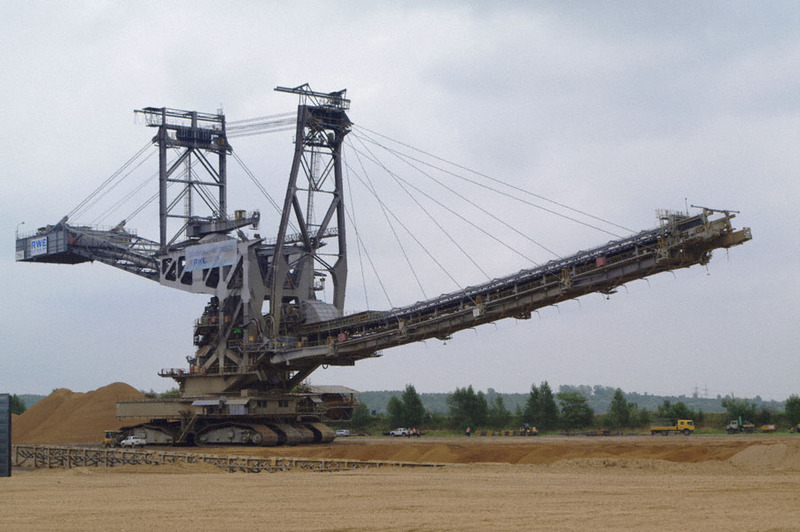 The socalled ‘Absetzer’ 756, or spreader in English, has finished it's work in Bergheim this April, being the last large piece of equipment in this exhausted lignite mine. 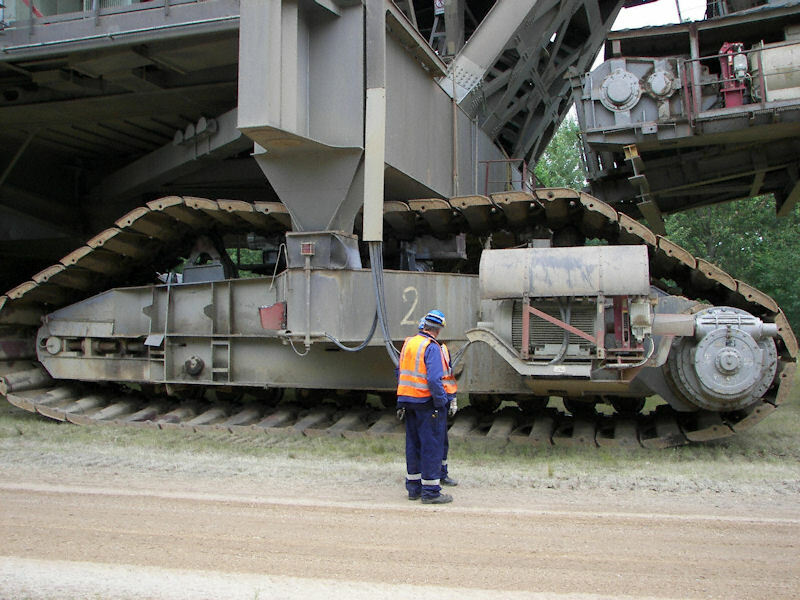 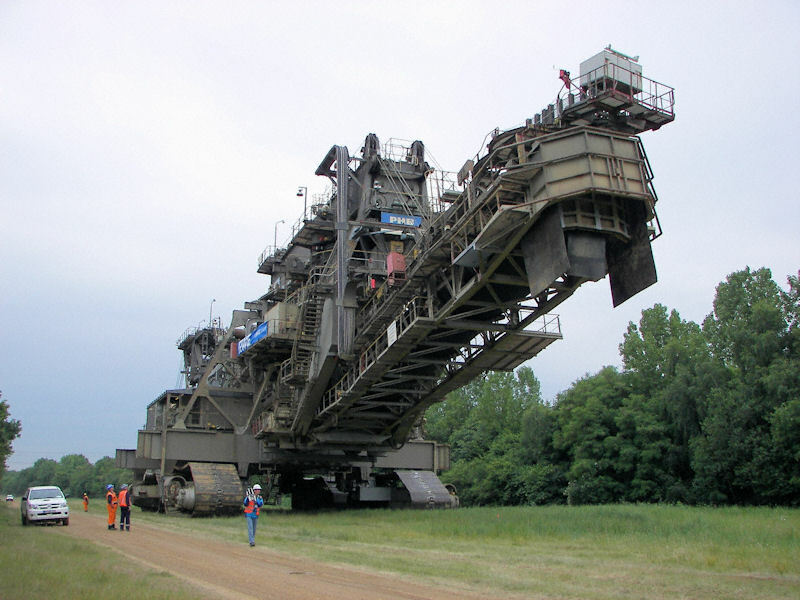 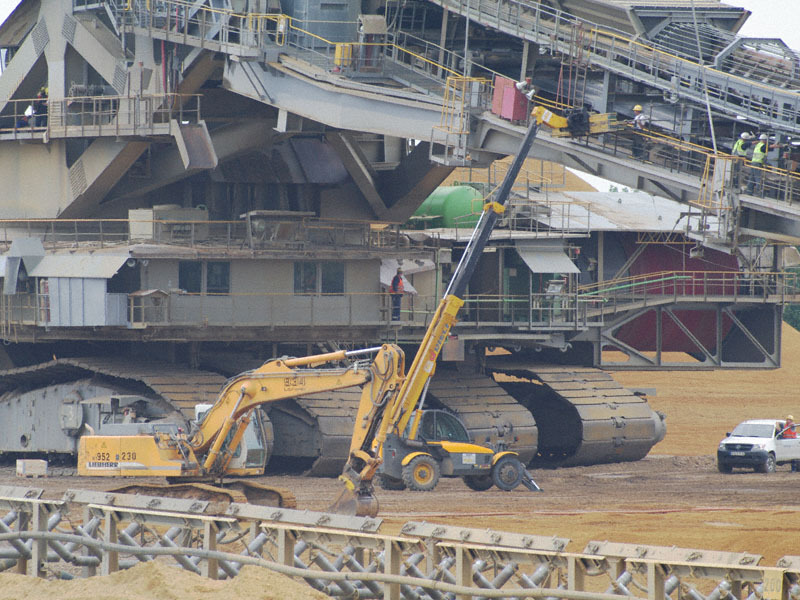 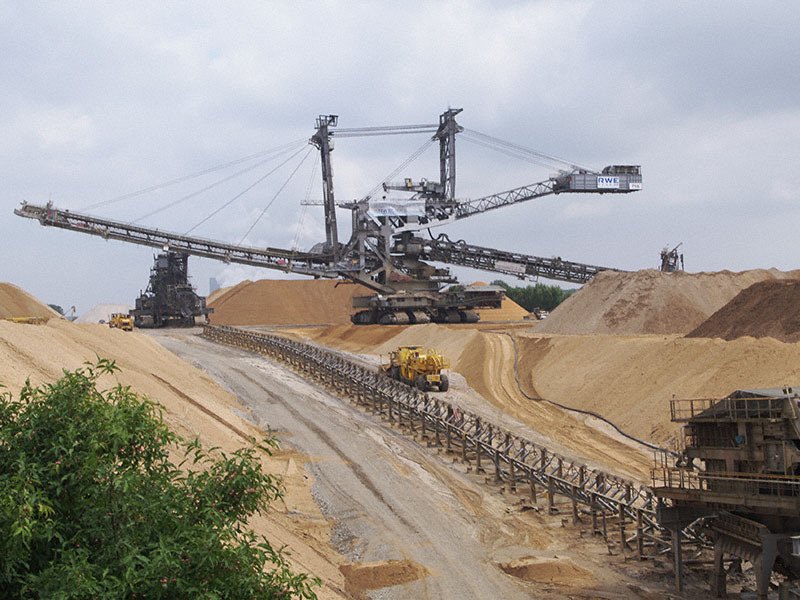 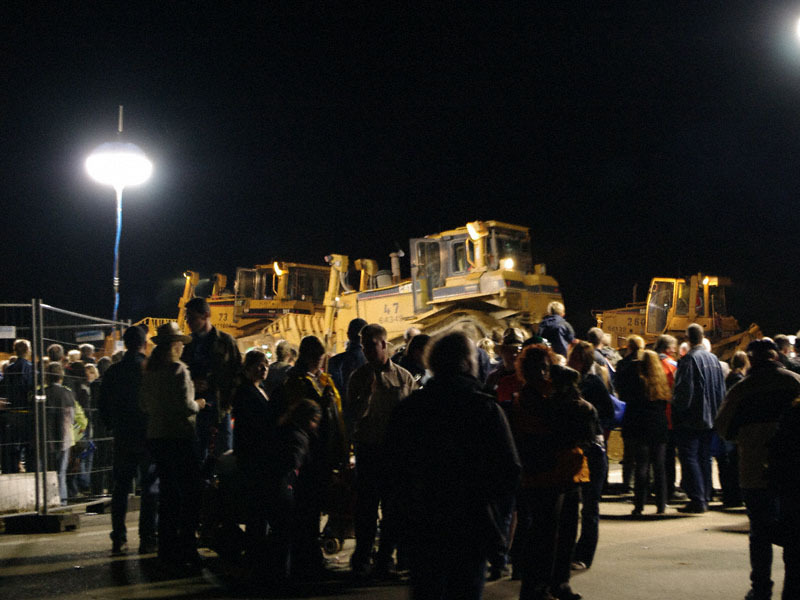 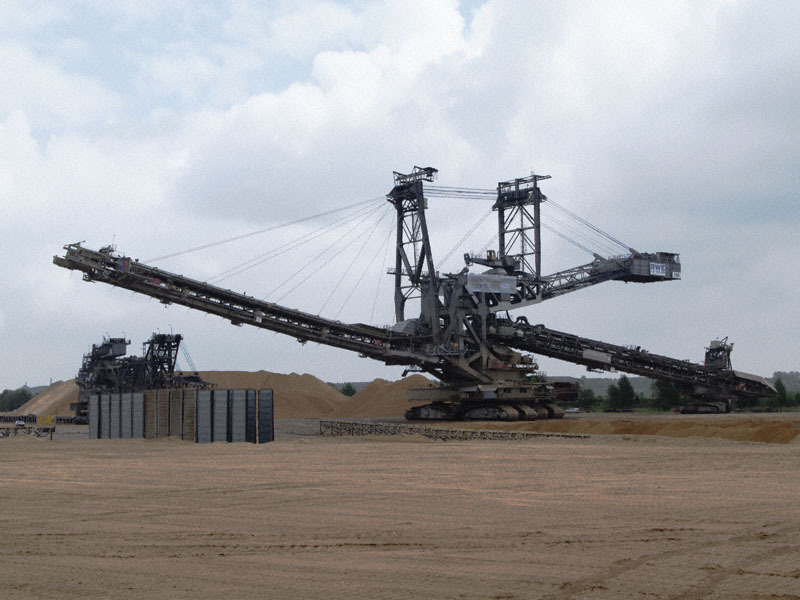 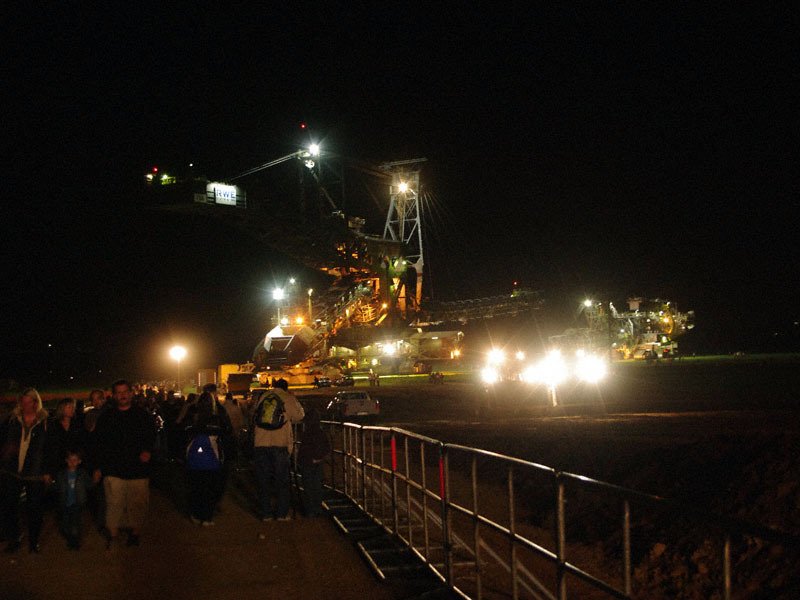 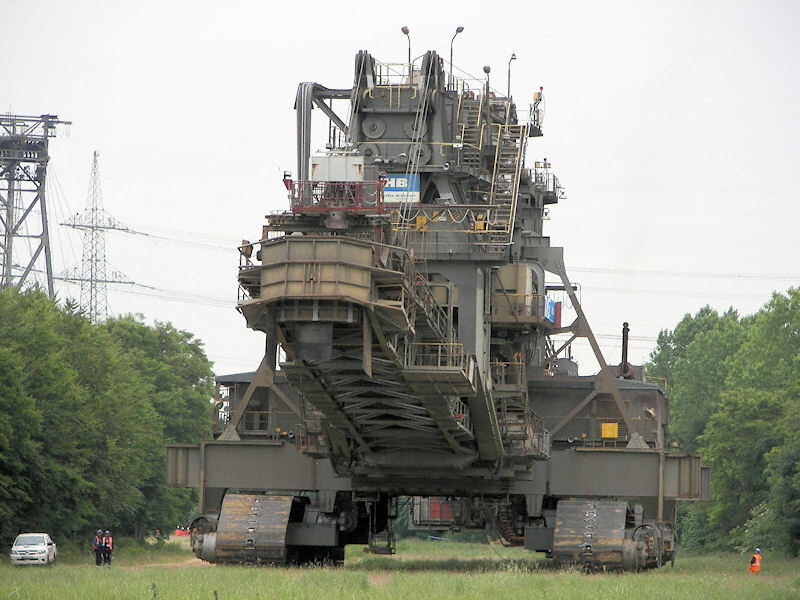 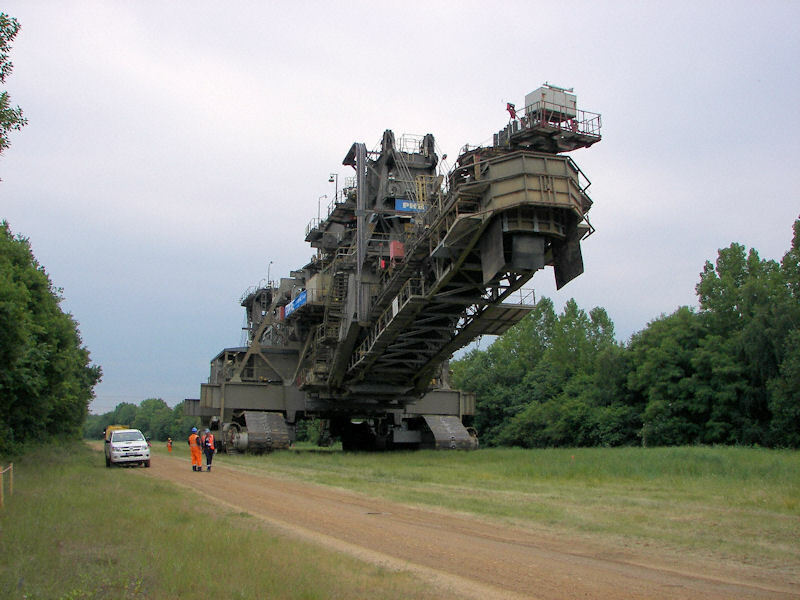 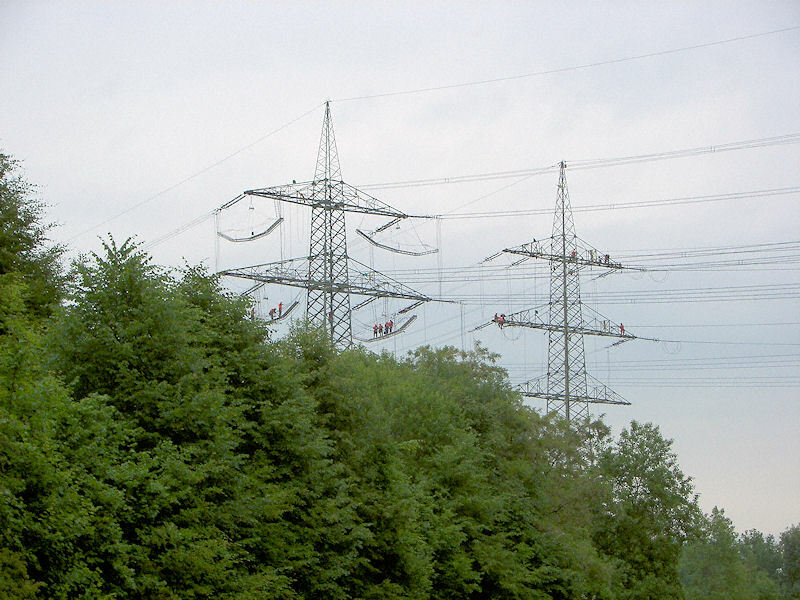 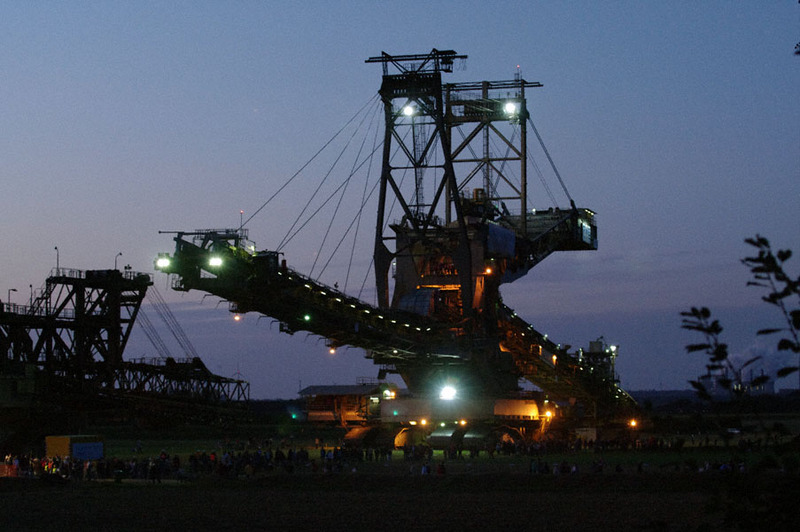 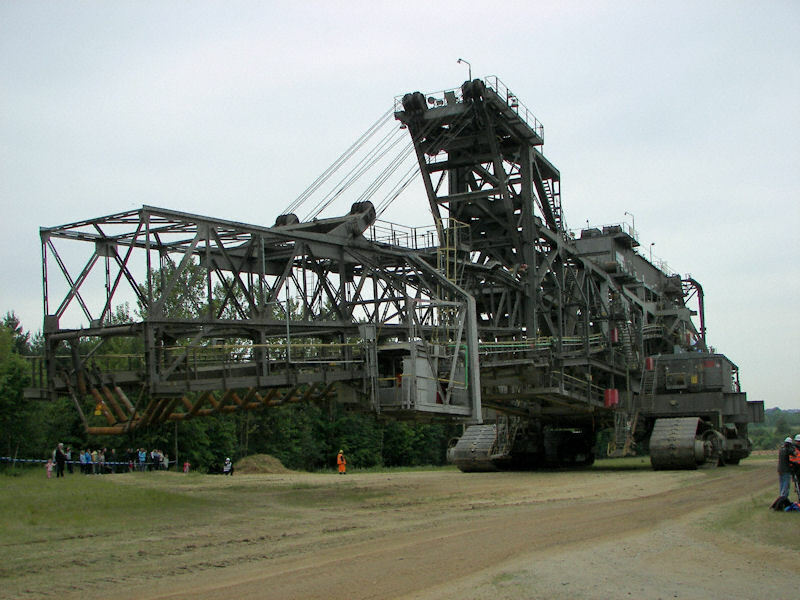 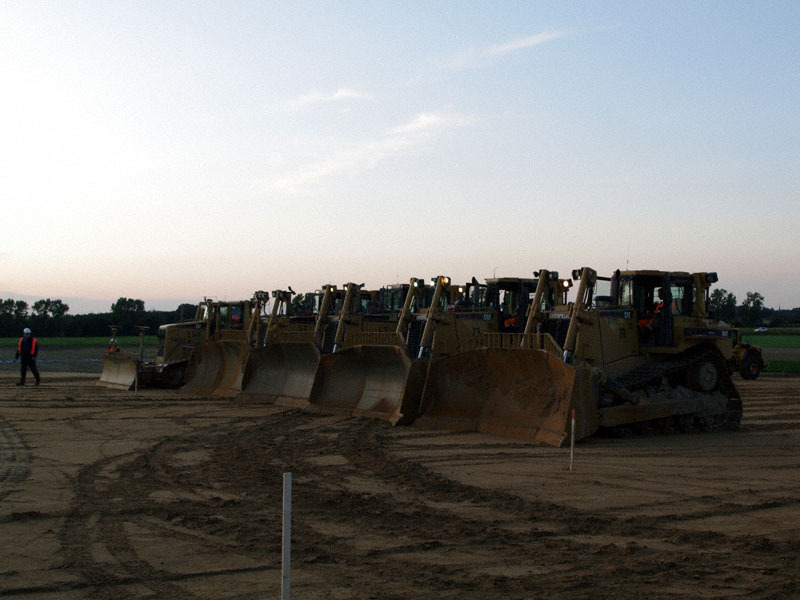 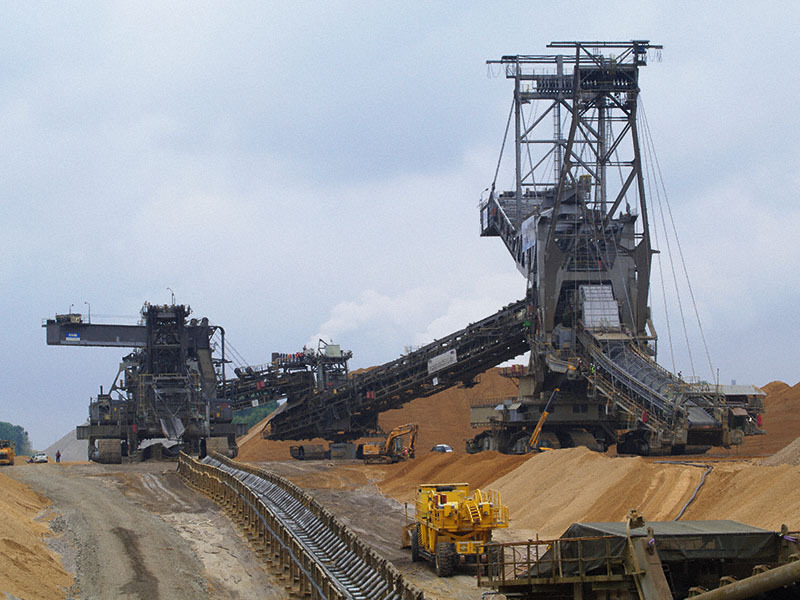 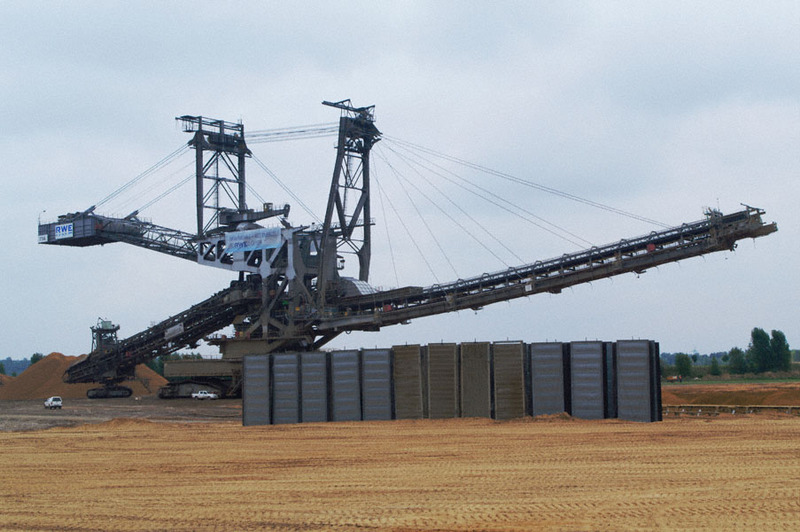 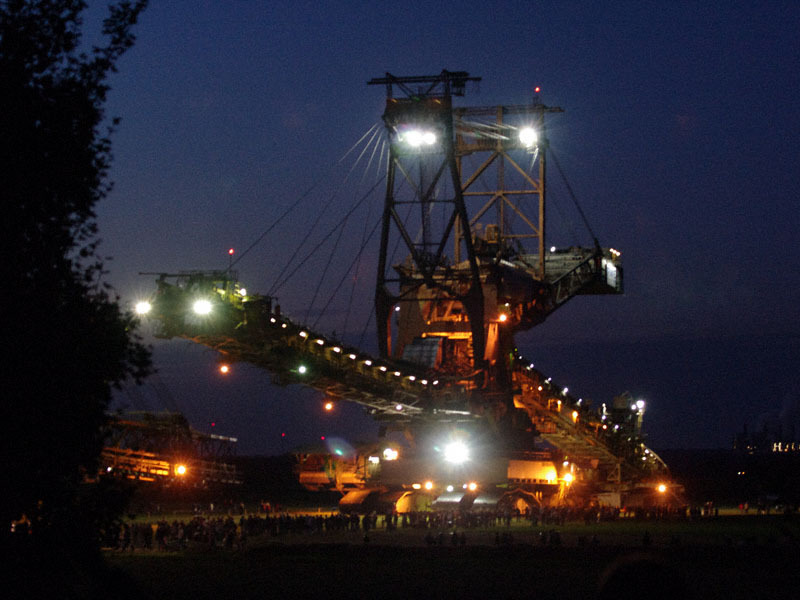 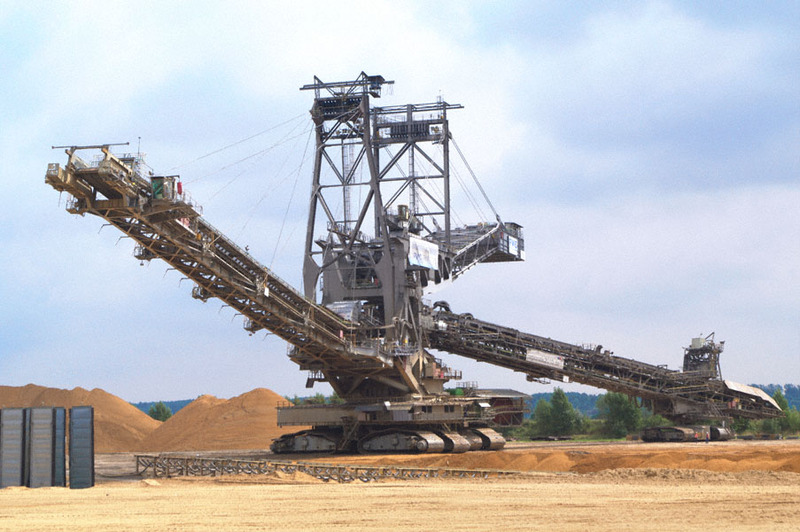 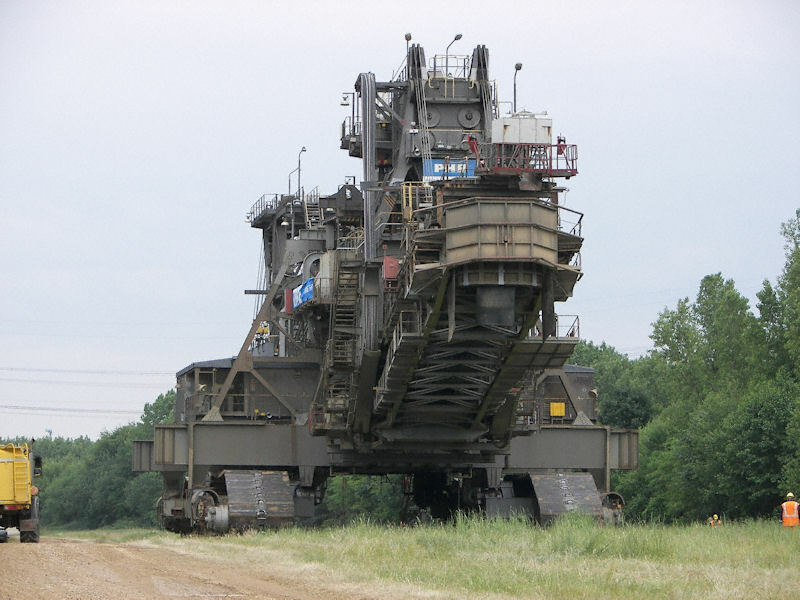 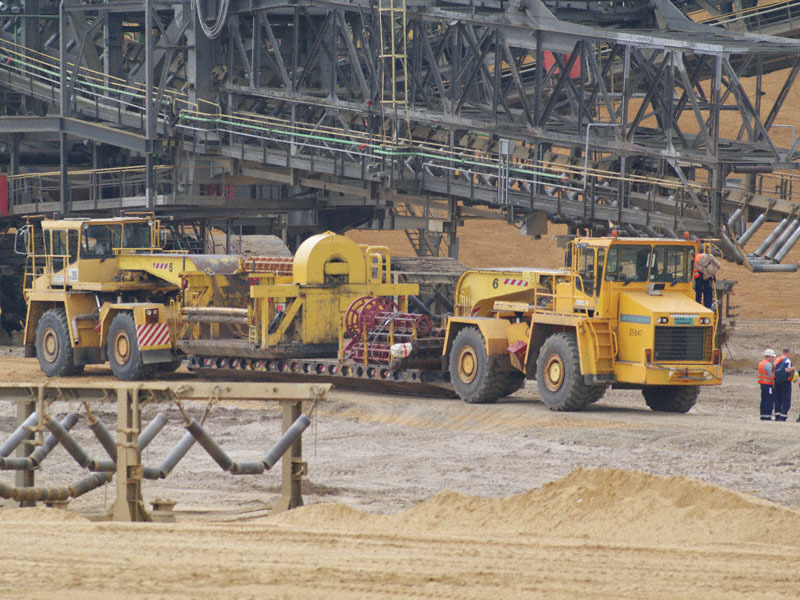 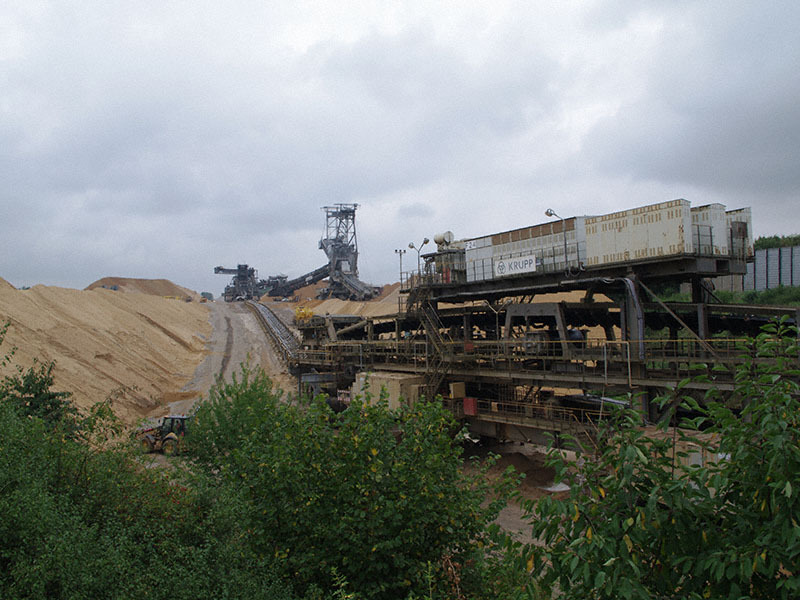 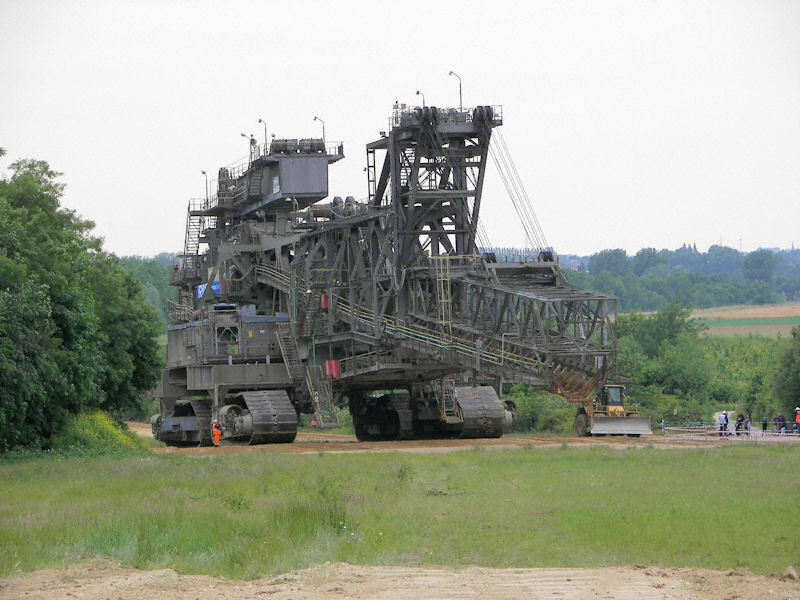 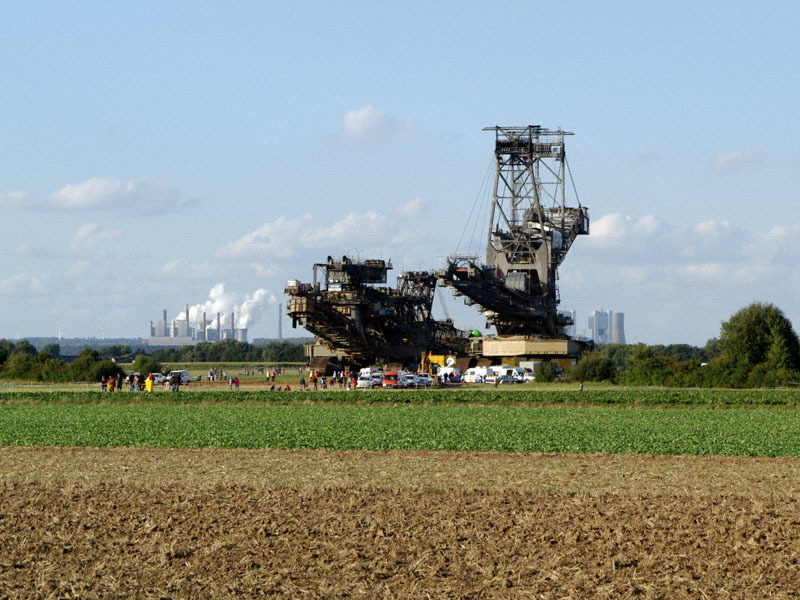 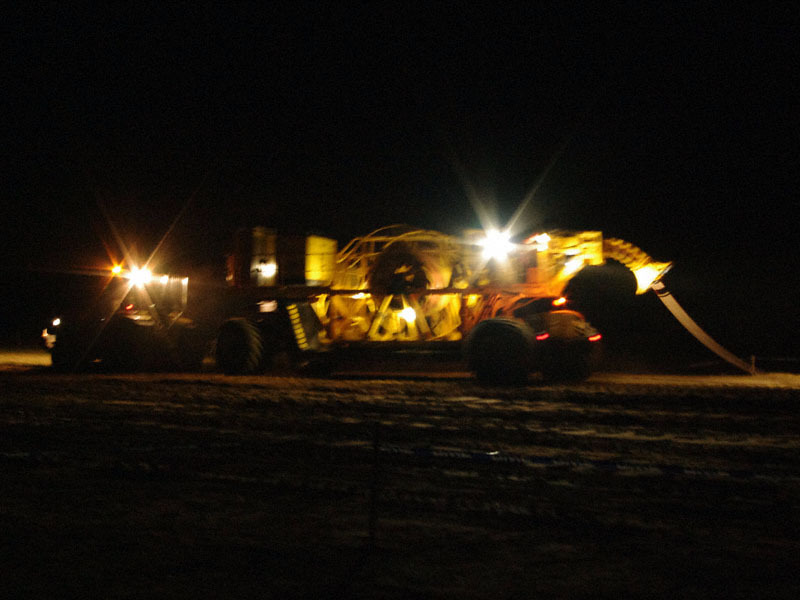 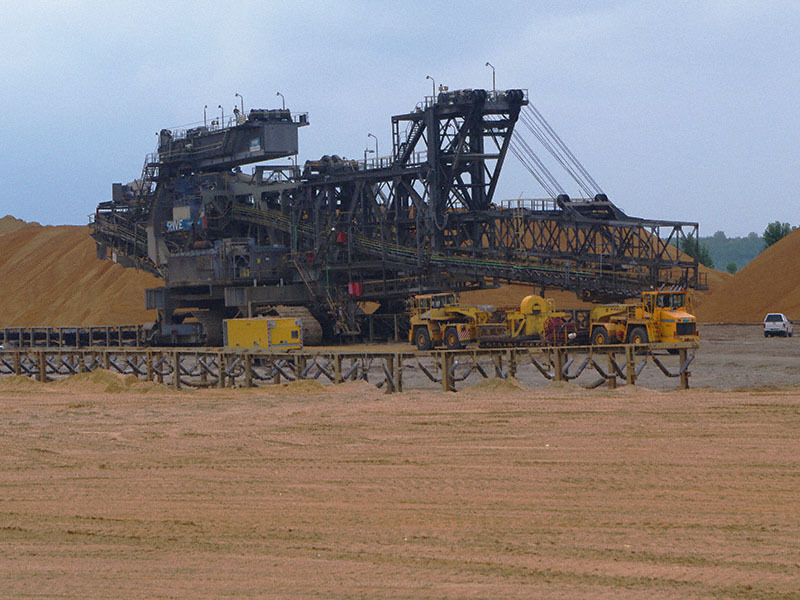 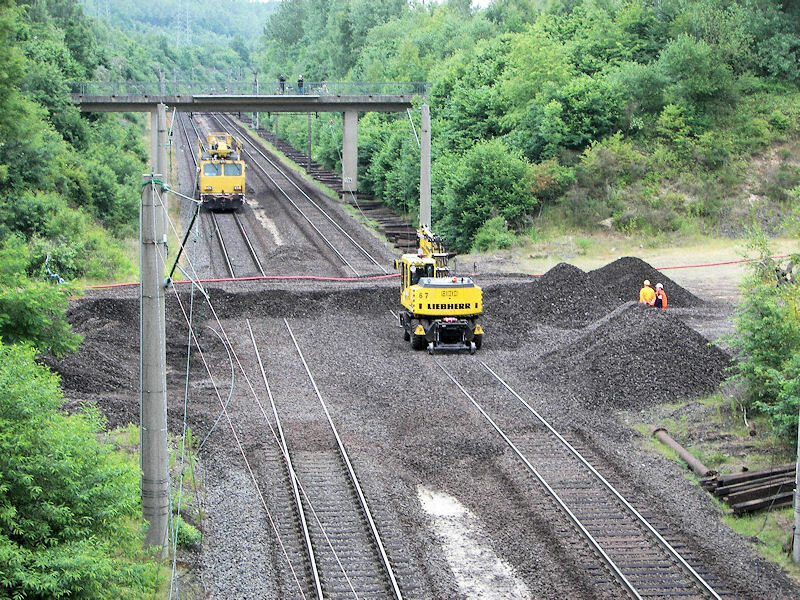 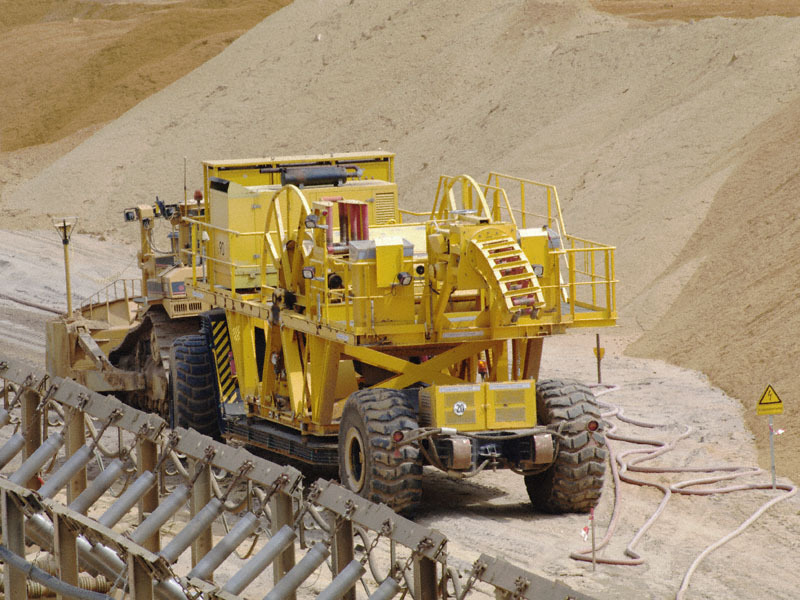 The machine will continue it's work in the Hambach lignite mine. 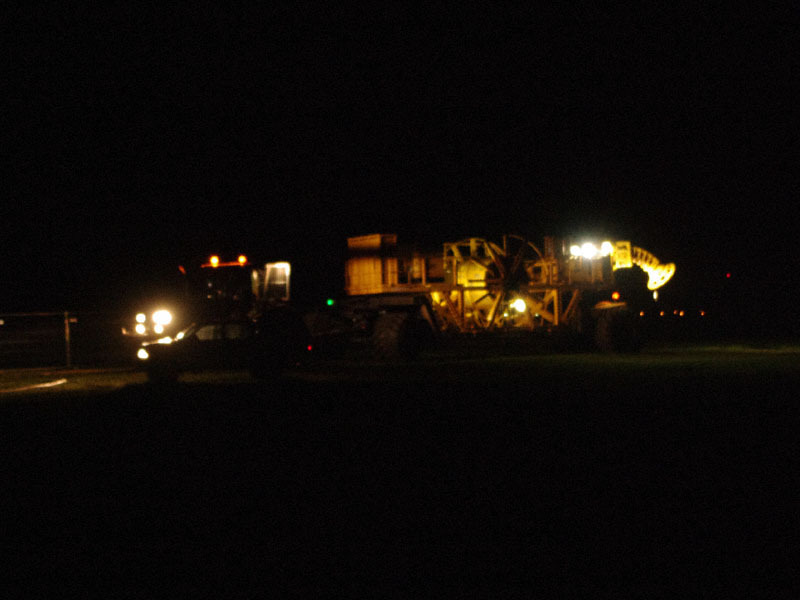 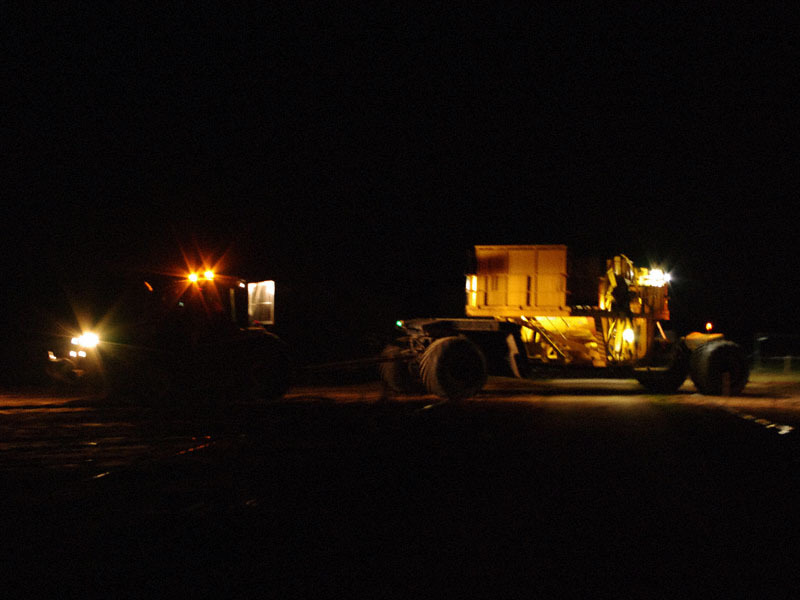 Together with it's tripper car, the spreader will drive to it's new location. 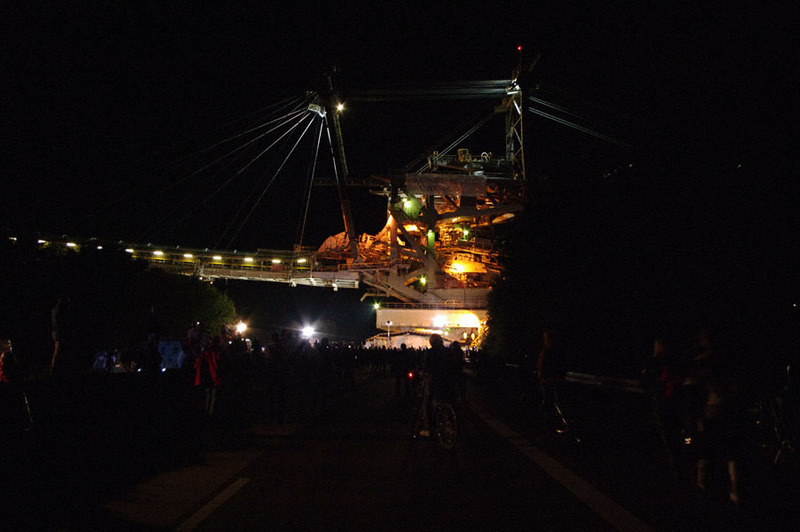 This is the last large equipment move for at least the next couple of years and definetely the last transport departing from Bergheim. 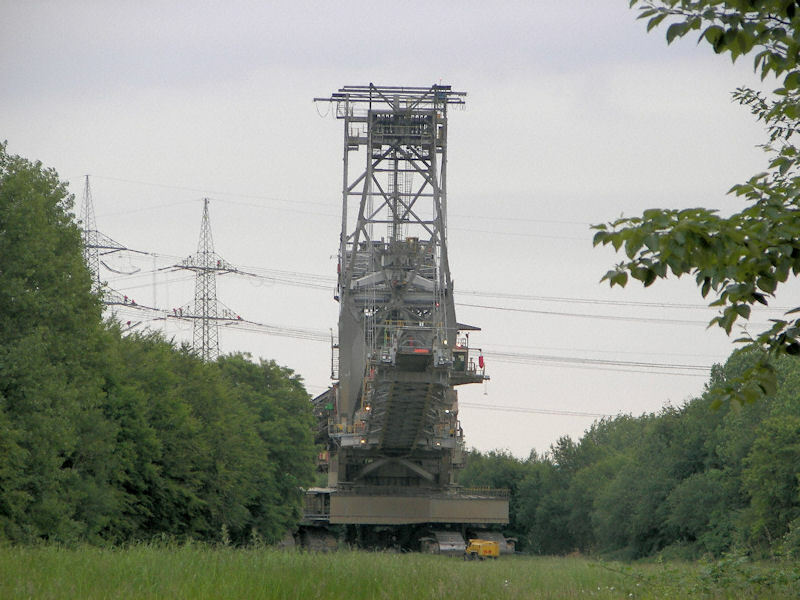 For the first time the transport will be in two stages: in June the spreader will drive to the village of Glesch, where it will backfill the former belt conveyor route. 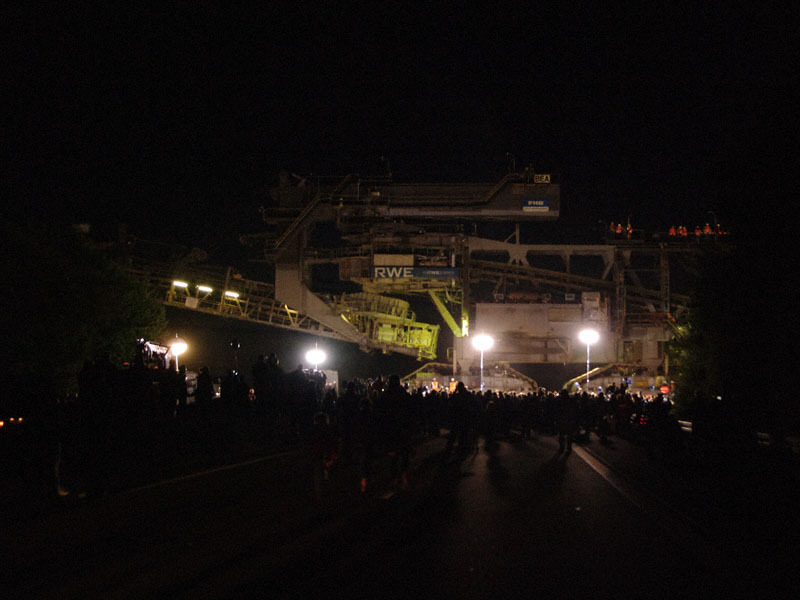 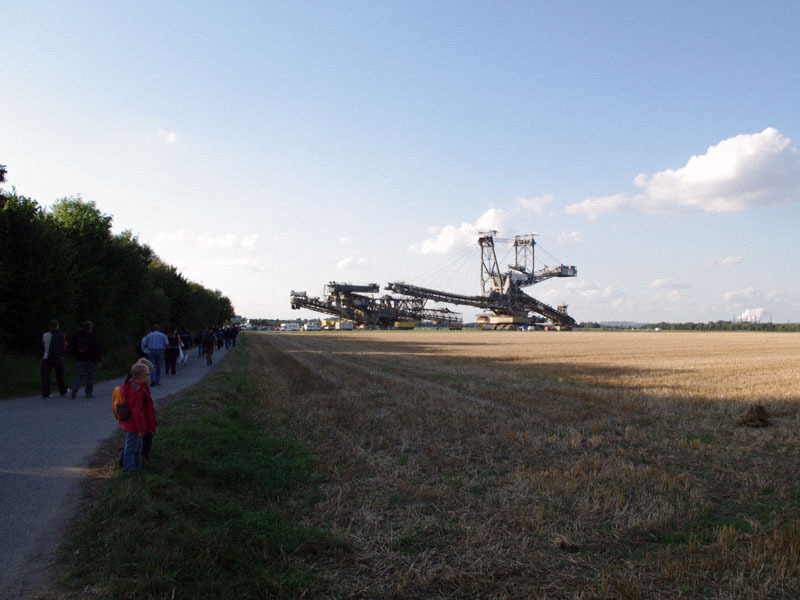 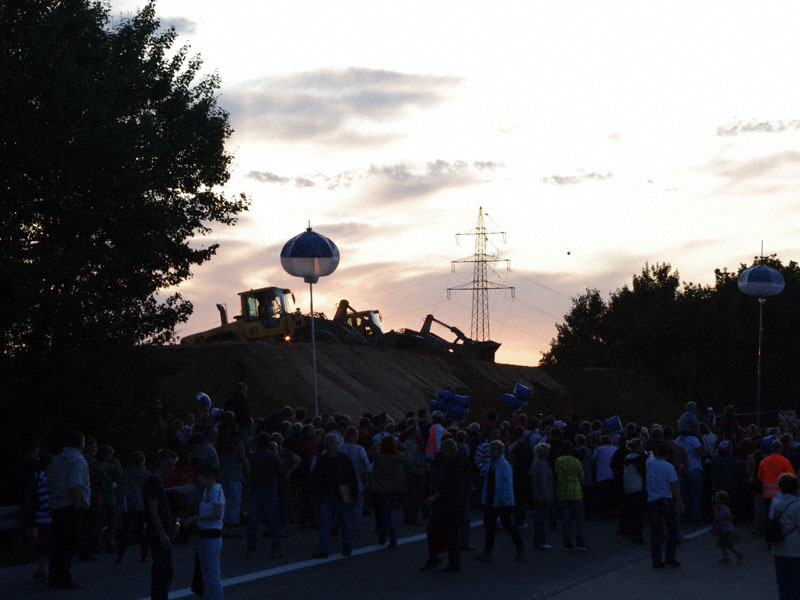 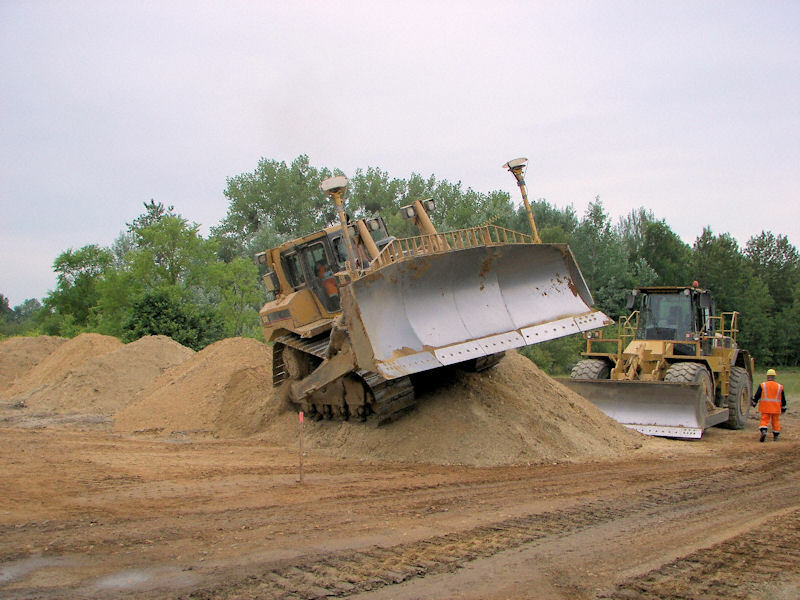 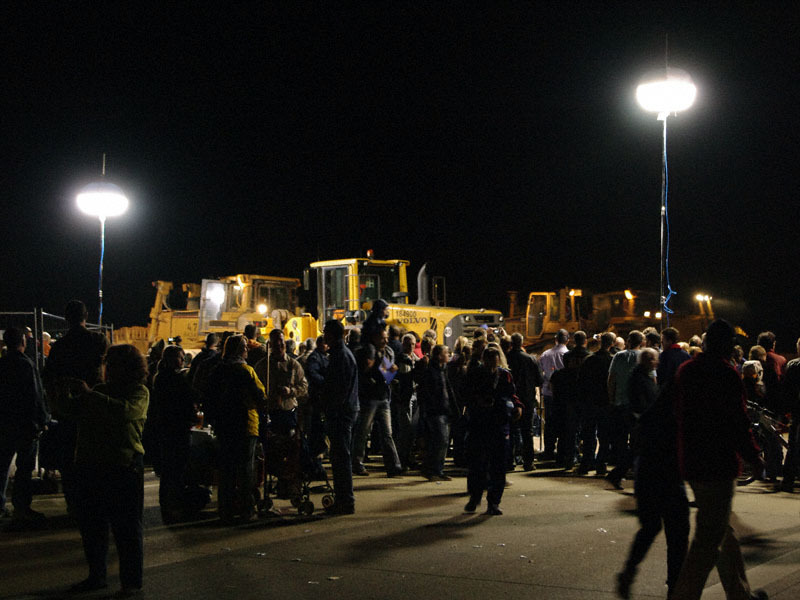 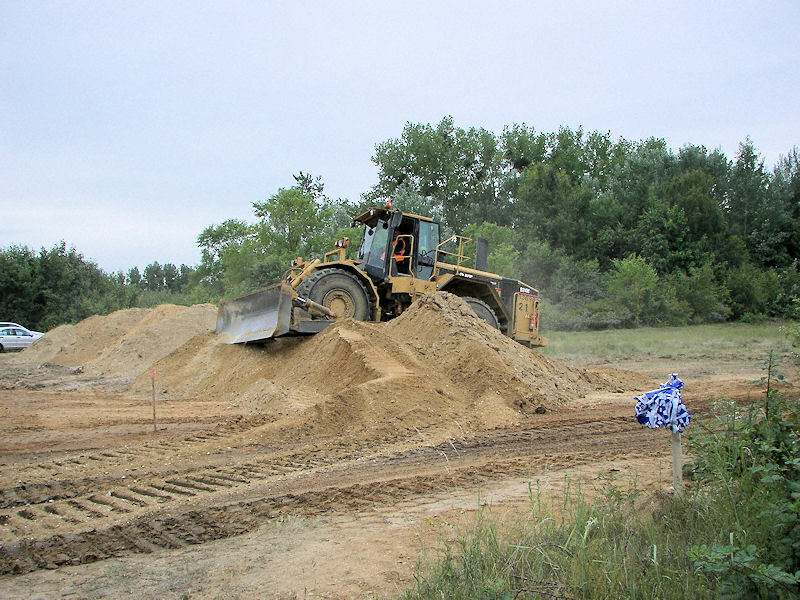 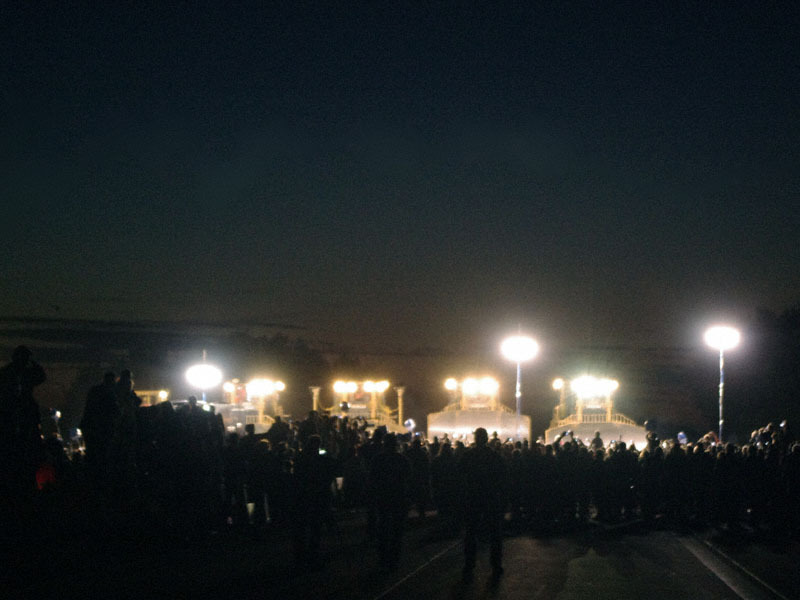 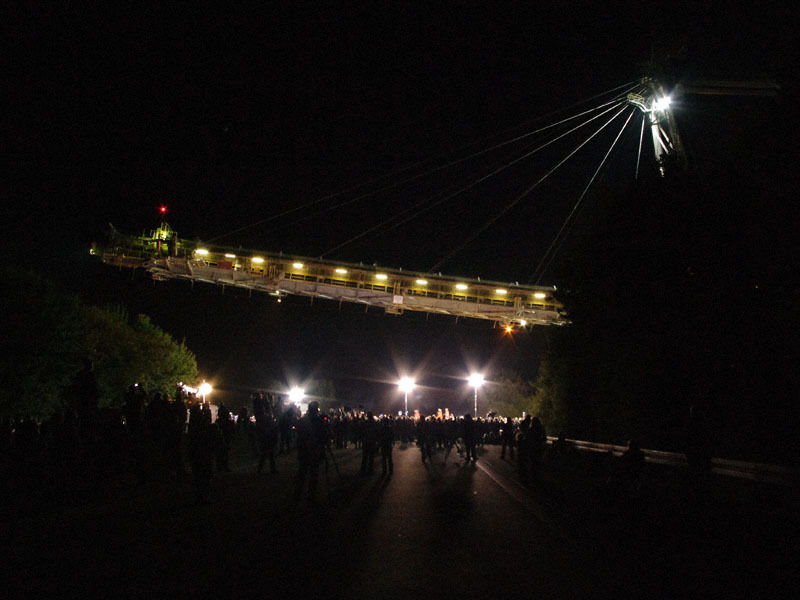 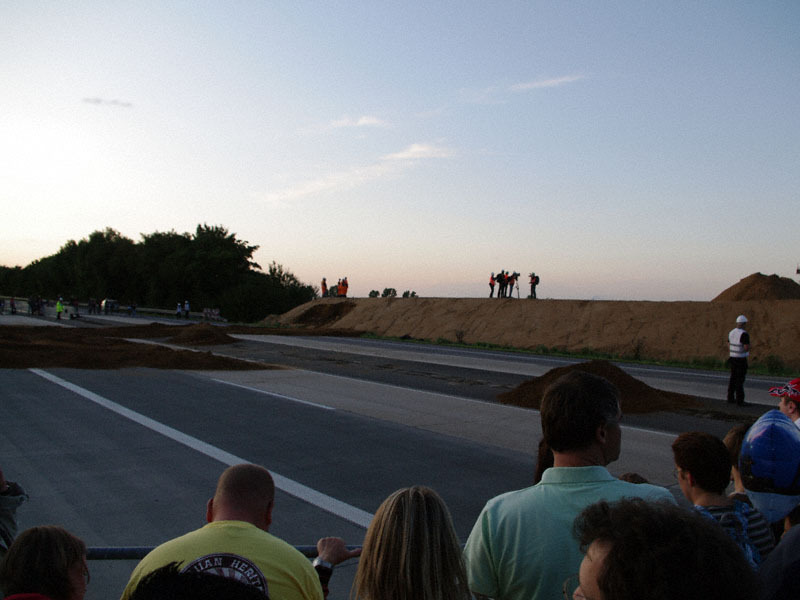 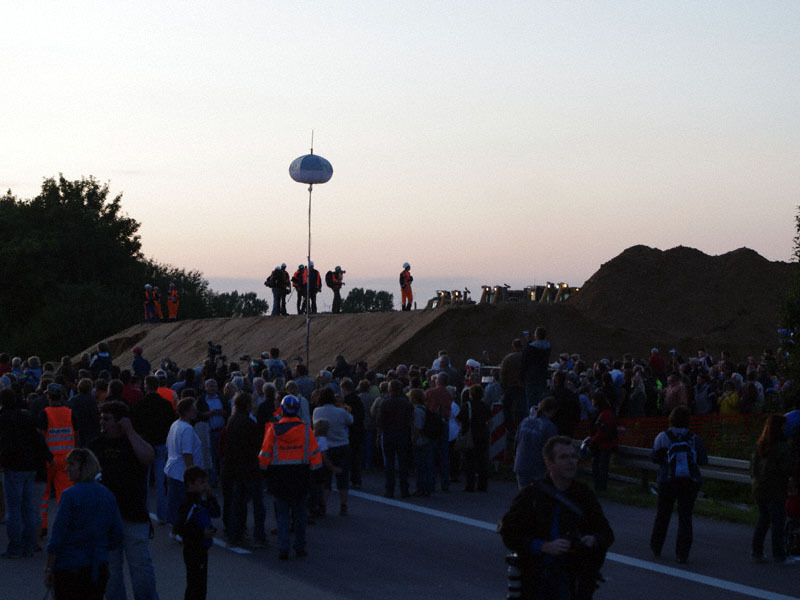 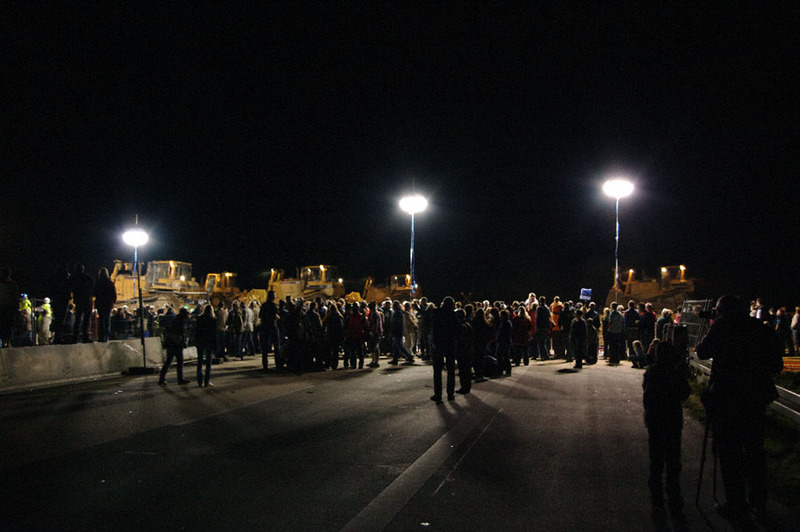 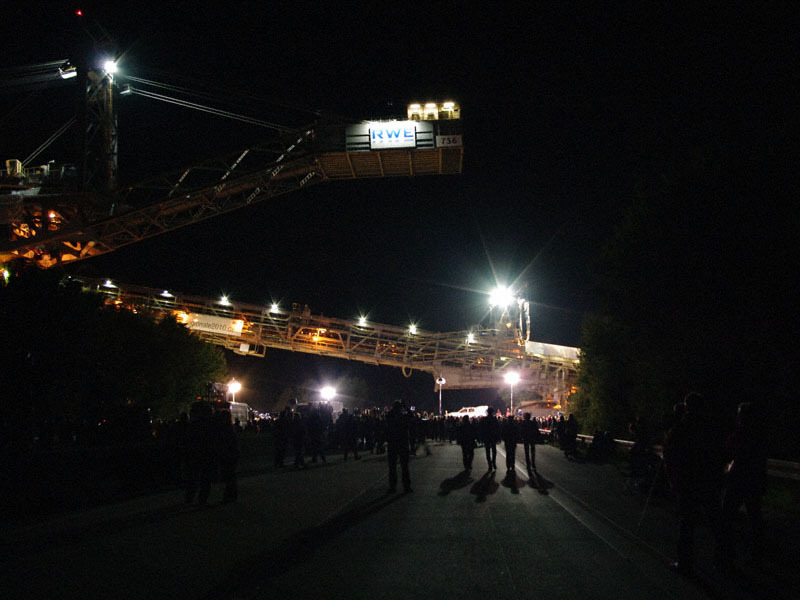 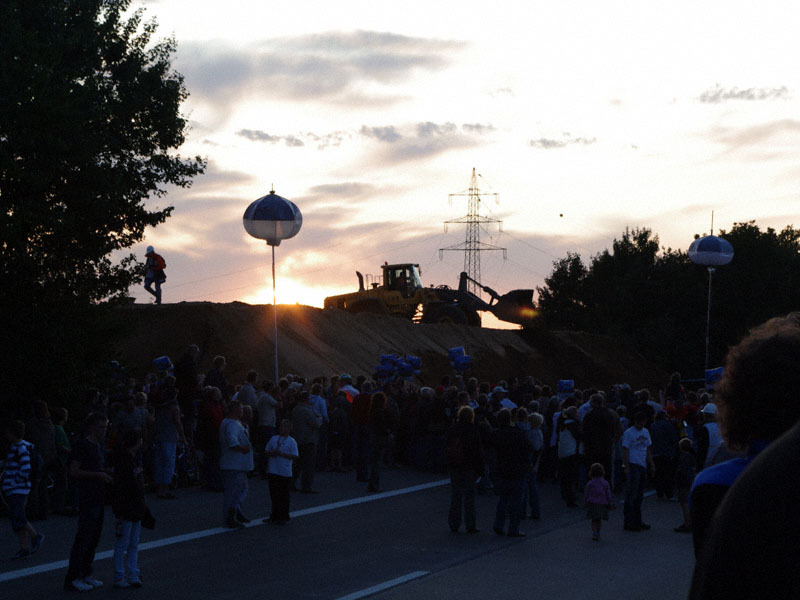 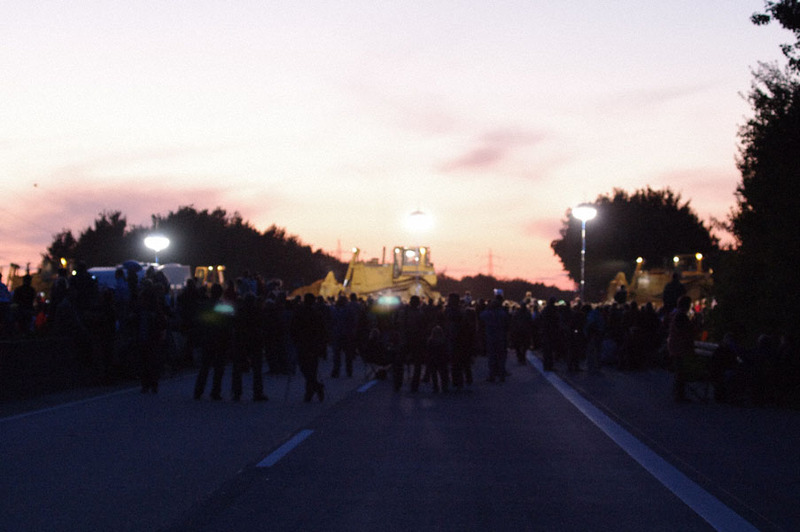 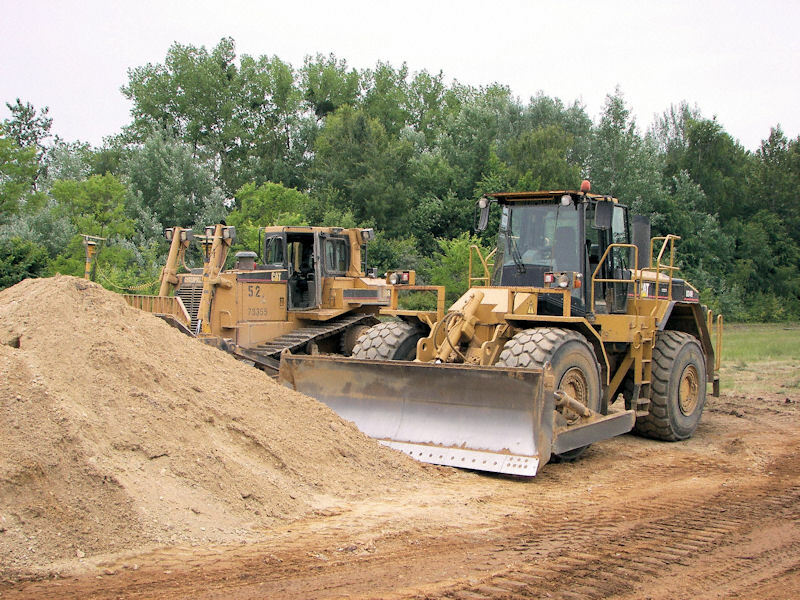 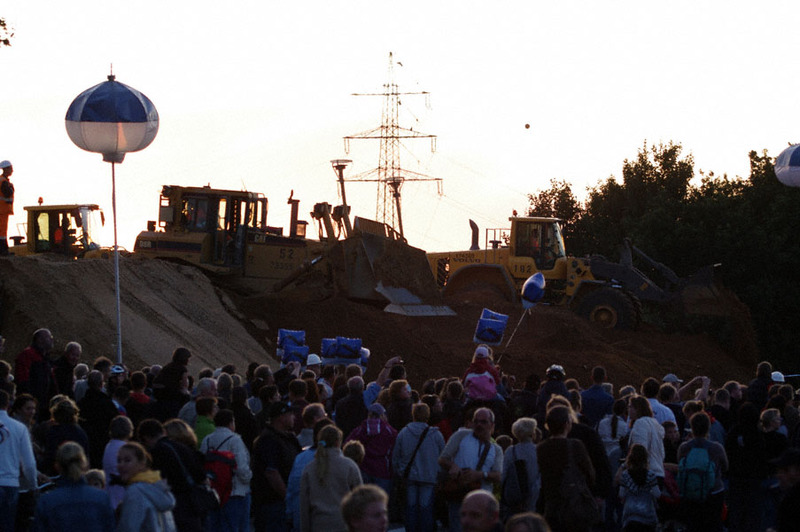 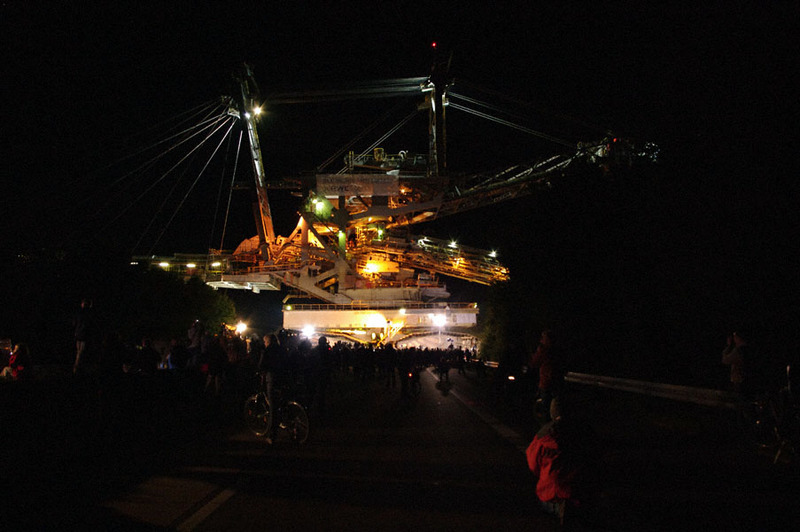 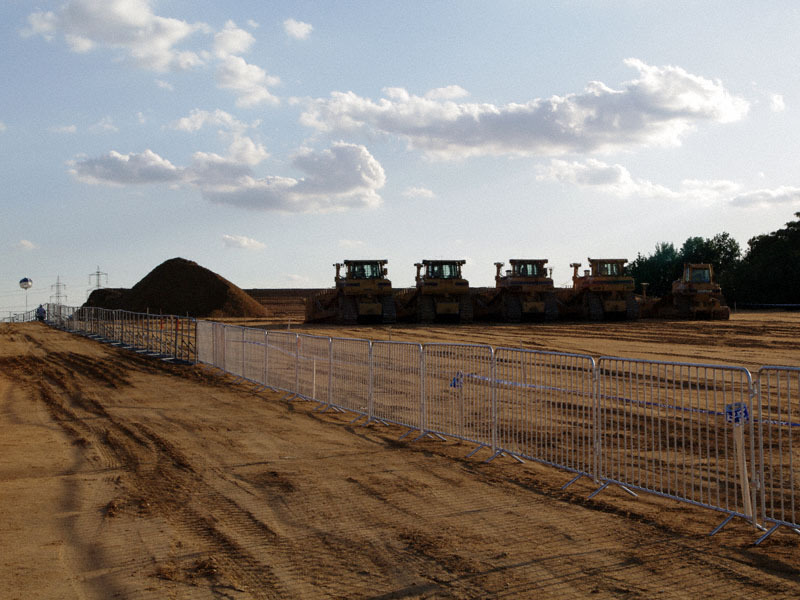 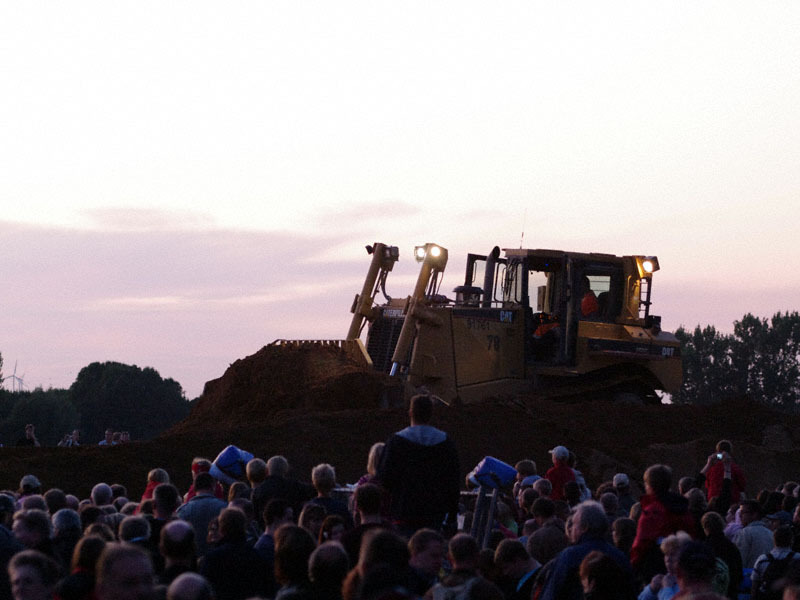 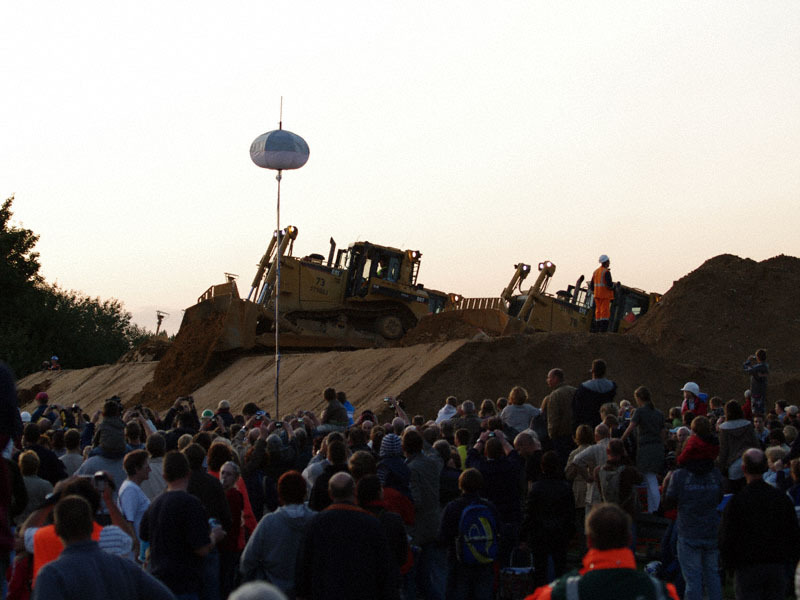 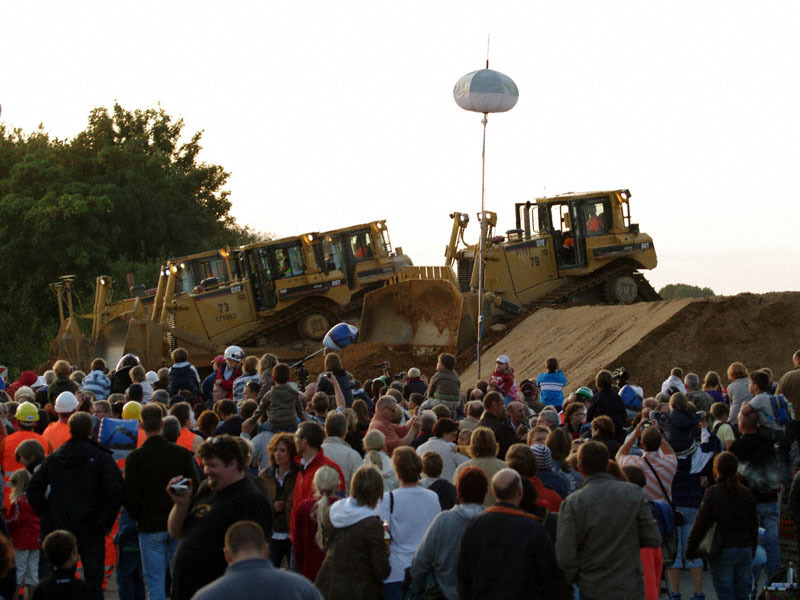 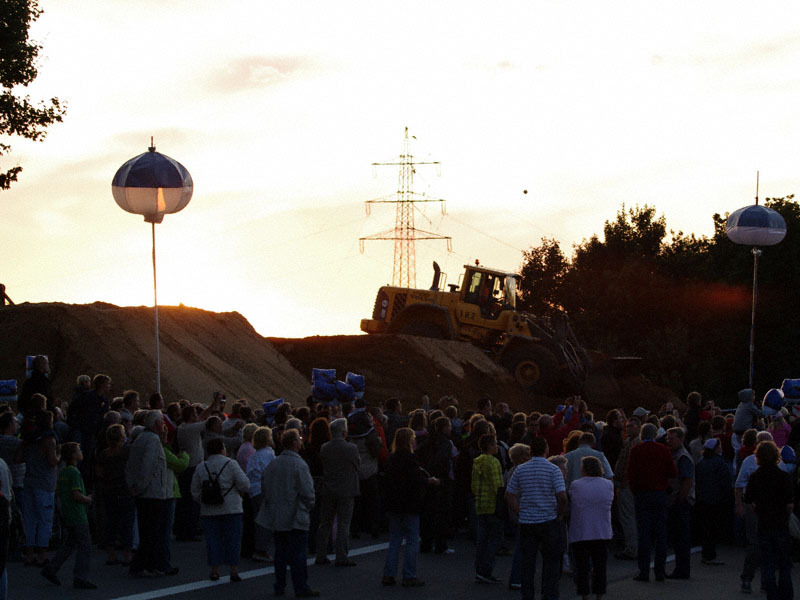 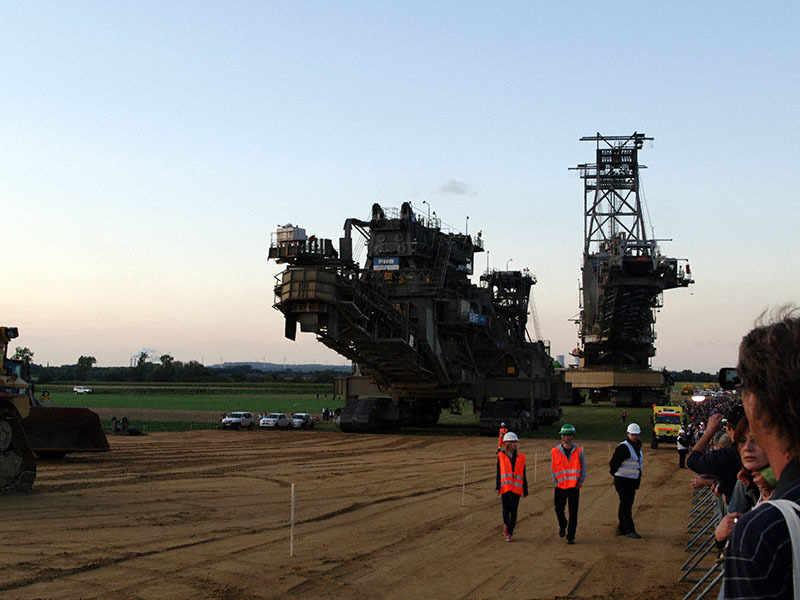 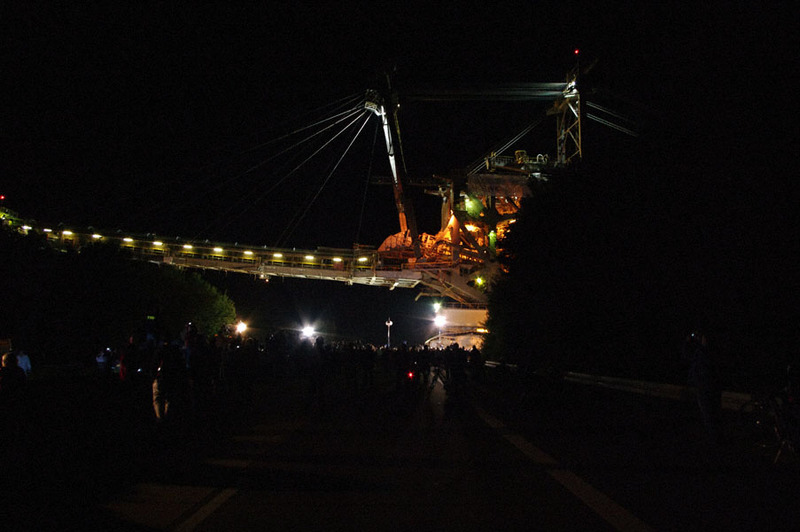 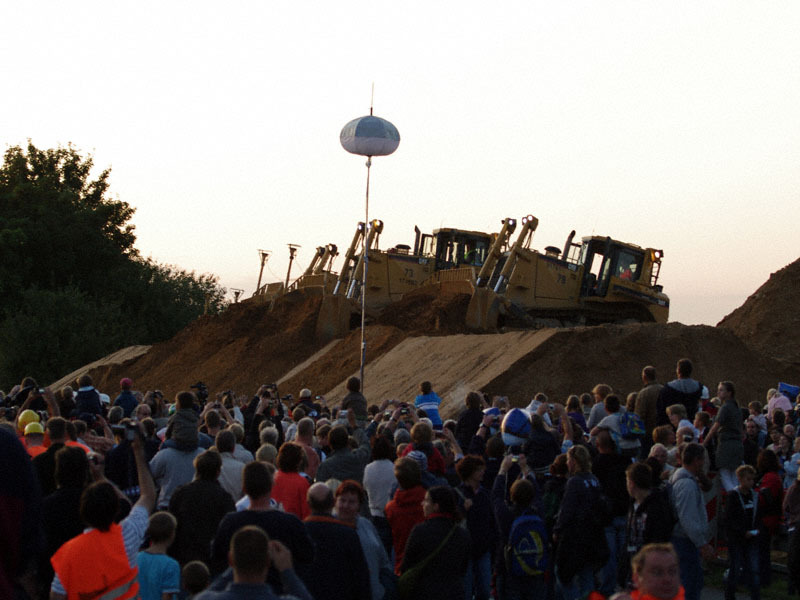 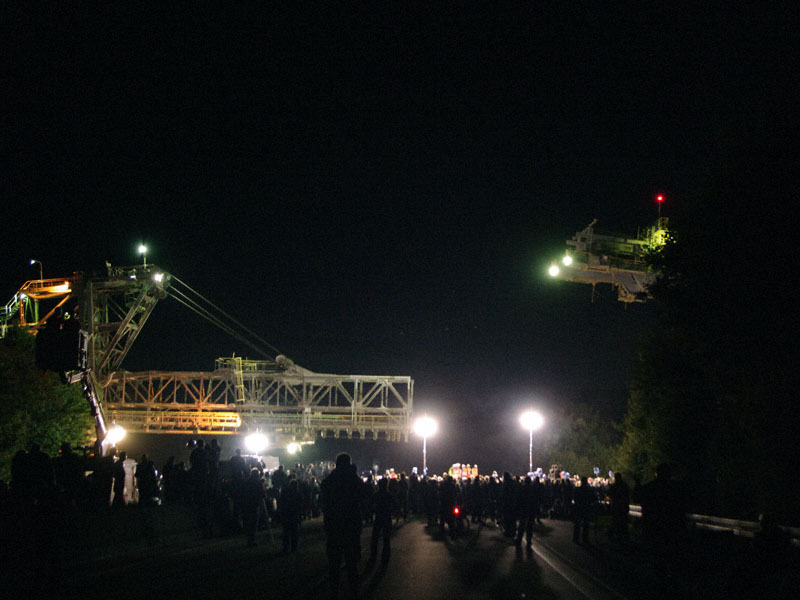 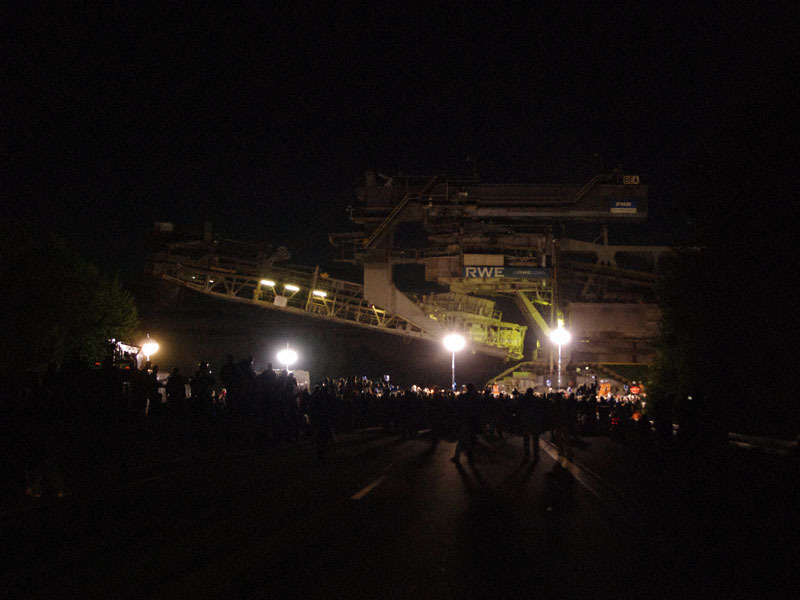 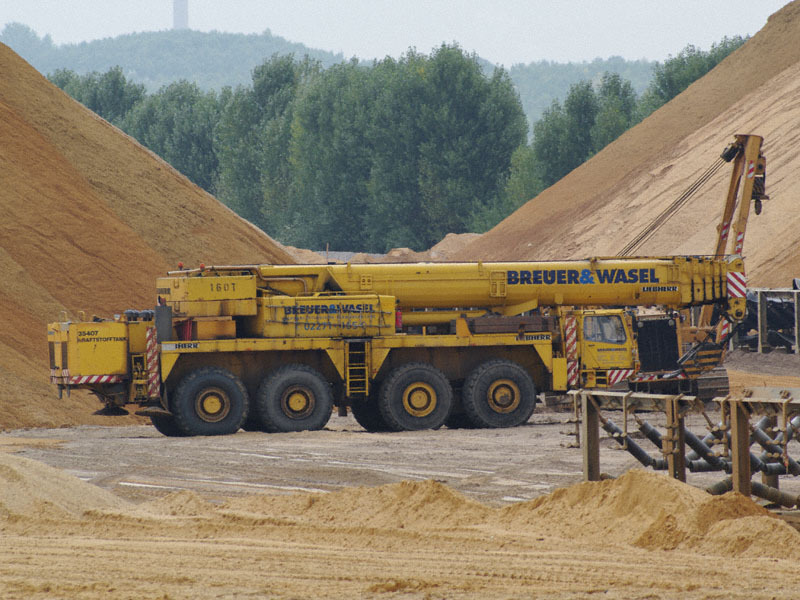 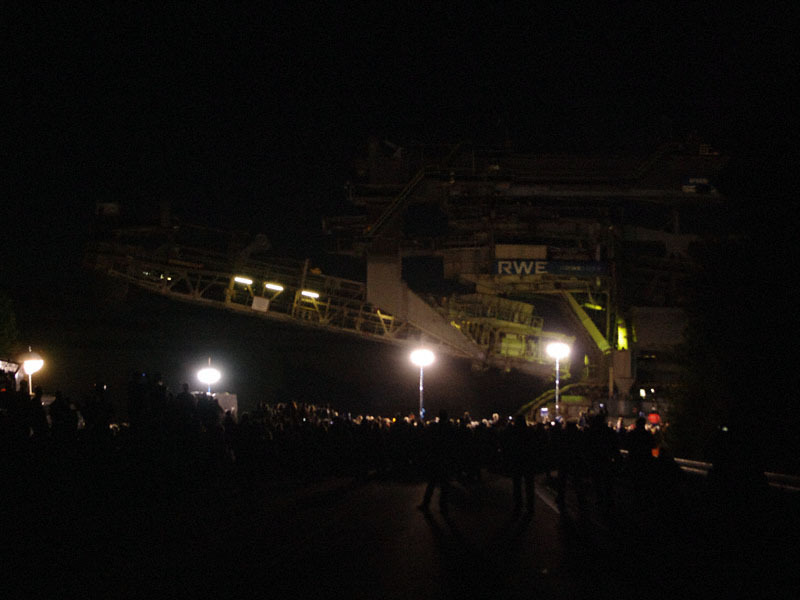 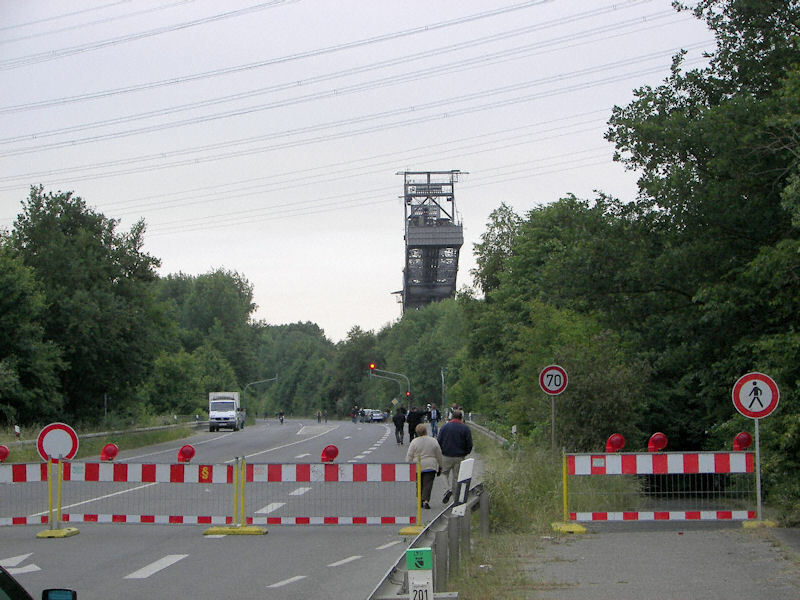 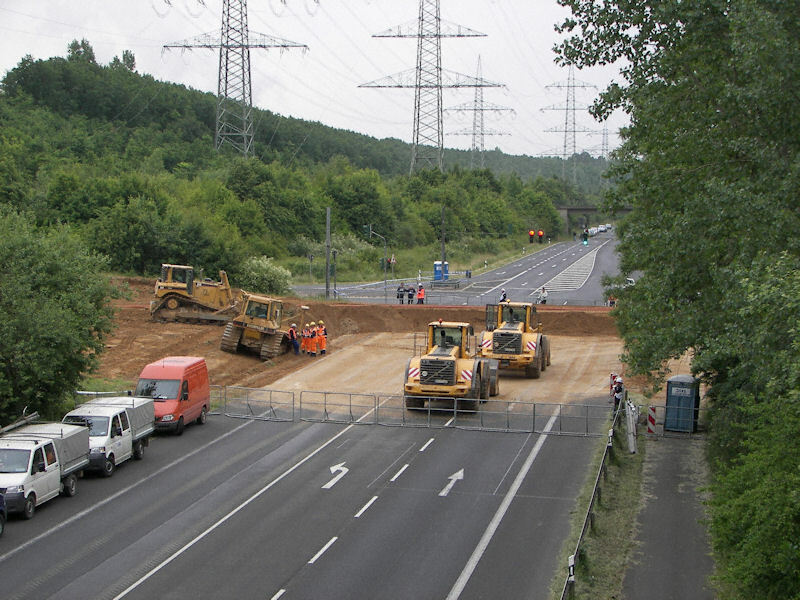 In August the spreader will continue to travel to Hambach.